Just like in the human world, the quality of connections and acquaintances plays an enormous role in link building. That′ s why you should start with identifying some highly authoritative websites in your niche. It will take some time before you can establish relationships with these websites, but it′ s worth every minute you put in it. But how do you recognize if this particular website looks authoritative to Search Engines? You should analyze SEO factors of these domains (Google Page Rank, Alexa Rank, etc.) and find out who links to these sites. If a website gets solid backlinks from .gov and .edu sites, from established news and media sources, it might be authoritative. 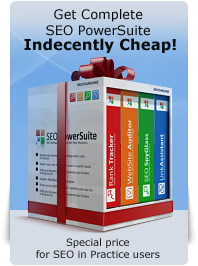 Finally, you will need to identify what′ s necessary to get those really "fat" backlinks — is it an inforgraphic, a research paper, or an interesting interview? Contacting and communicating with the persons behind authoritative sites will give you a hint on what kind of content would help get the desired links. Basically, it′ s preferable to get links from various domains, as sitewide links don′ t always look very natural. So try to get backlinks from a diverse range of sites — blogs, press releases, forums, Q&A sites, video platforms, podcast websites, social media sites, etc. It′ s natural to have most backlinks pointing to your homepage. However, you will benefit even more if you build links to other pages as well — the so–called "deep links". This way you will not only diversify your backlink profile and show there′ s more than one interesting and useful page on your site, but also optimize certain internal pages for long–tail keywords with less competition. If your business is based in New–York, it′ s important for you to get some local link juice: local link directories, local organization websites, Google Places account with your website link, etc. The more websites link to you with the commercial anchors (featuring the products you sell or offer), the higher you may rank for that keyword. BUT there′ s a fine line between high rankings and penalization. So don′ t forget to mix commercial anchors with your brand and company name, use naked URLs and non–descriptive phrases. Previous: Chapter 5: Finding SEO gems, or how to get premium one-way links? I would think that anchor text would play a key role. Now for optimization in Yandex (in Google it was always like that), the rule in point 5 is used permanently. Yes, you are right - Yandex is not as strict as Google, and it is even better to use such anchors as "here" or "click here". But still it would be rather effective to use your keywords or company name in anchor texts, as people may not only follow the links, but also remember your company name and search for it in SE. This is an additional advertising for your business. Dan, Yandex has become more stringent. Russia's economy is on the decline, a lot of businesses are closed. Therefore, the rules of ranking made stricter to focus on Yandex Direct (like Google Adwords). The main objective: to remove from the market the stock exchange of buying links. So the rule in point 5 playing a big role in algorithms of Yandex penalty. I don't talking about the links from Wikipedia, Forbes and other famous sites. Actually this is the way it works now. And if something changes, be sure, that the information in the guide will be updated ASAP.